Running in the dark can be daunting, scary even, but it doesn’t have to be. If you can make it something that you are happy to do it will bring a new dimension to your running and open up so much more time for training. During the winter months it’s often hard to get out in the light, especially when work and other life commitments take up a lot of the day, so you either have to run in the gym, just at the weekend or get out in the dark. 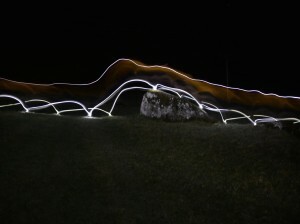 We think that getting out in the dark, particularly off road, is hugely rewarding and enjoyable. We love it and hopefully this blog will inspire you to give it a try. 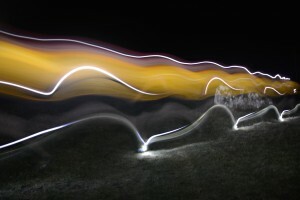 Running by the light of your head torch focuses you into a tunnel of light it gives off, reducing your vision to the few meters in front of you and making everything feel faster and more exciting. You don’t have a mile of visibility to prepare for a hill or even 50 metres to get ready for a twisty bit of single track; everything comes at you without the normal warning, so even if you are actually running slower than you would normally run it feels as though you’re speeding along. 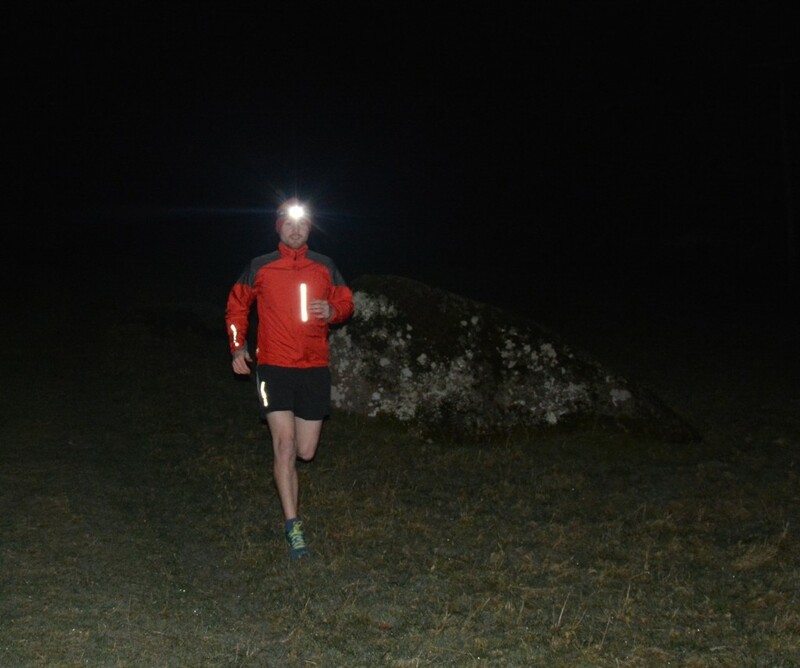 Night running may also improve your off-road ability; running in the dark makes your body run more by feel, it will improve your proprioception and therefore your ability to run on rough surfaces. It will also help your head, if you know that you can run over rough ground at night with only the light of a head torch then of course you can run “this technical bit of trail” in the daylight, probably faster than you would normally have tried it. The other reason that lots of people start running in the dark is racing; some races start very early or are so long that you have to run a portion of them in the dark. It’s really good to get used to night running before the race itself and even better if you are already used to it before you enter. 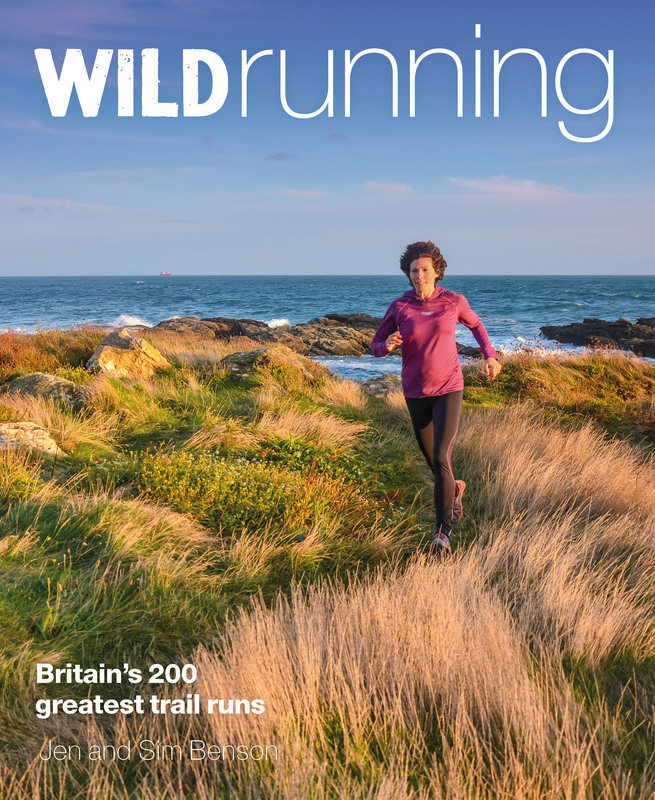 Most runners have a couple of favourite off-road loops which they have run many times before. 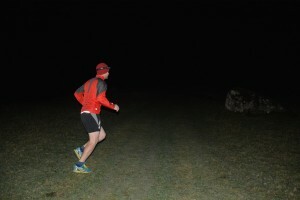 Theses runs are perfect first time night runs – you know them so well in the day that route finding won’t be a worry, but running them in the dark will still be a bit like running a new trail. Before you go running in the dark you need to make sure that you can see and be seen. A head torch will allow you to see where you’re going and will also make you much more visible to cars and other road/trail users. The torch needs to be reasonably light so that it is comfortable to run with and have a good headband so that it doesn’t slip over your eyes or come off while you are running. Some have a top strap as well as an around the head strap and these often provide a better fit; the heavier the torch the more important it is to have a top strap. As long as the torch doesn’t become too big and heavy then the brighter the better. Brightness is measured in lumens and although a lumen is a standardised unit there isn’t an industry standard for measurement. All of the well known torch brands measure them in a similar way, so are comparable, but this is why you can get a 100000000 lumen torch from the garage for £5. There are various models on the market such as the AlpKit Gamma as a great budget torch at under £20, the Petzl Tikka RXP for around £65, or if you want a really dedicated serious bit of kit the Ay Up Run Kit is amazing but around £200. I was once cycling along a quiet country lane in the dark and in the distance i could see two little shiny things going up and down, I slowed down and when I caught up with the lights I realised that it was the little reflective bits on the back of a pair of trainers. Other than these the runner was invisible until I was very close to them even though he was wearing a red top; this really made me aware of the effectiveness of reflective material. Lots of running kit has reflective piping or detail on so you may already be kitted out for a night run. If you don’t have anything suitable then a light windproof jacket with reflective bits would be a great investment. I currently wear the Salomon Fast Wing jacket (RRP £75), which I like and Jen swears by the Montane Featherlite Marathon jacket (RRP £60). I now find that I (sort of) look forward to the nights drawing in and the arrival of darker evenings because the joy of running by head torch across the moors or along a stretch of coast path is like nothing else. The retrospective feeling is awesome as well! We always welcome comments and we would love to see your pictures or favourite night time routes, share them on our facebook wall or on our twitter feed.